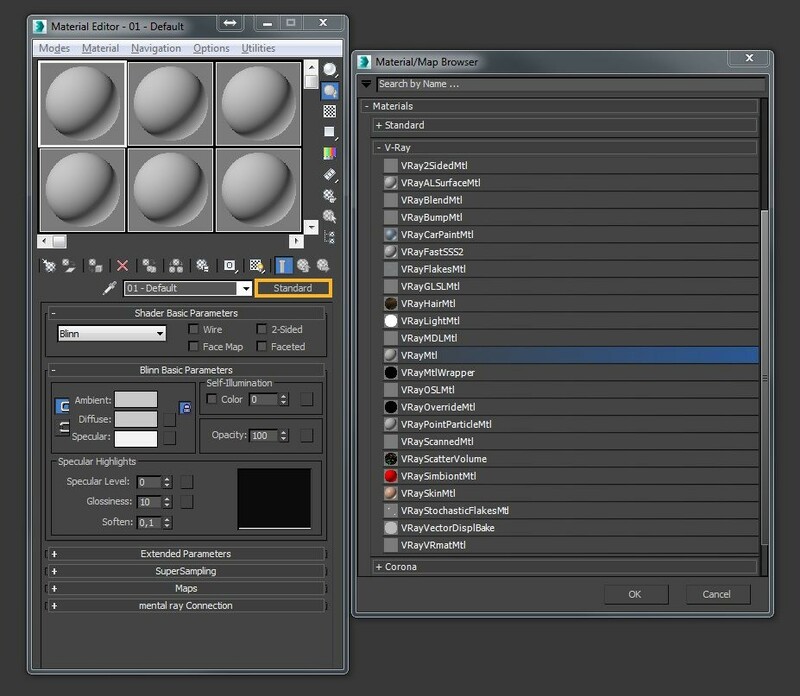 In this tutorial I will show you how to assign a specific material to an object and determine the texture size on it. 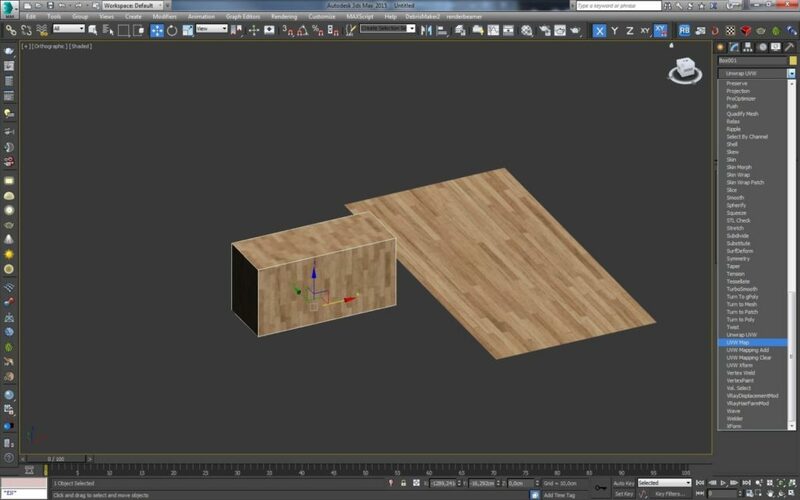 It is not difficult, but if you are just starting to learn 3Ds Max, it may not be so obvious and simple. For starters, we need to create a material that we will apply to our object. Here it is worth immediately explaining the difference between the material and the texture, because for many people, especially beginners, it can be confusing. 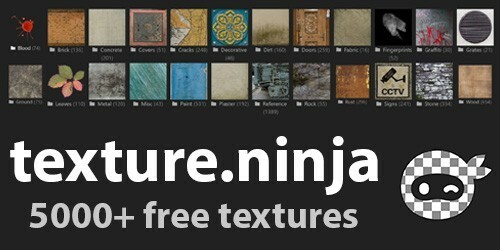 The texture is raster graphics eg in JPG, TIF, PNG or other formats. One material can consist of many textures, eg Diffuse (color), Reflaction, Bump (inequality). Each of them may look a bit different depending on what effect we want to achieve. It is also worth adding that the texture does not have to be assigned to the material. For example, materials such as glass, chrome, plastic gain their properties due to the appropriate parameter settings, and not, for example, glass texture because it does not exist. Of course, we can also add textures to such materials, for example to obtain additional details such as dirt, scratches, but if we care, for example, perfect glass, there is no need. There are many different materials depending on which rendering engine we use, but the principle remains the same. We will focus in this tutorial on the example of standard V-ray material. 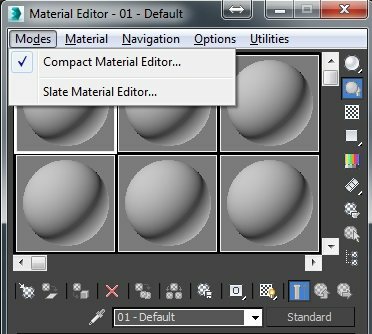 To create it, we must first enable Material Editor by clicking M.
Personally, I still use Compact Material Editora. This is probably a matter of habit :). 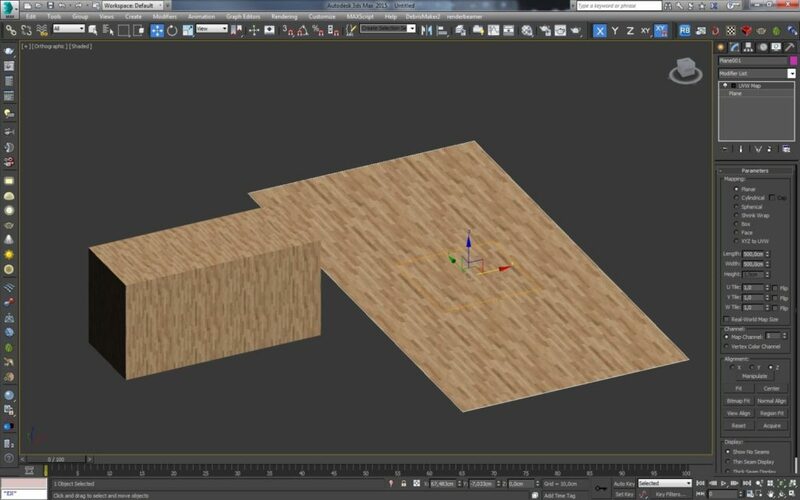 If you have a Slate Material Editor set in your 3ds Max, then you can also set up the Compact for the convenience of editing this tutorial. Then click on the Standard button (sometimes something else may be written depending on the current material that is in this place). After clicking, you should get us a new window Material / Map Browser. We choose VRayMtl in it. Once our material has been added, we can assign a texture to it. We can use any. I personally use wooden planks. To assign a texture, all you have to do is find the file you want on the disk and drag it to the square on the right of the Diffuse string. Ok, our very simple material is ready. Then we need the objects to which we want to assign it. 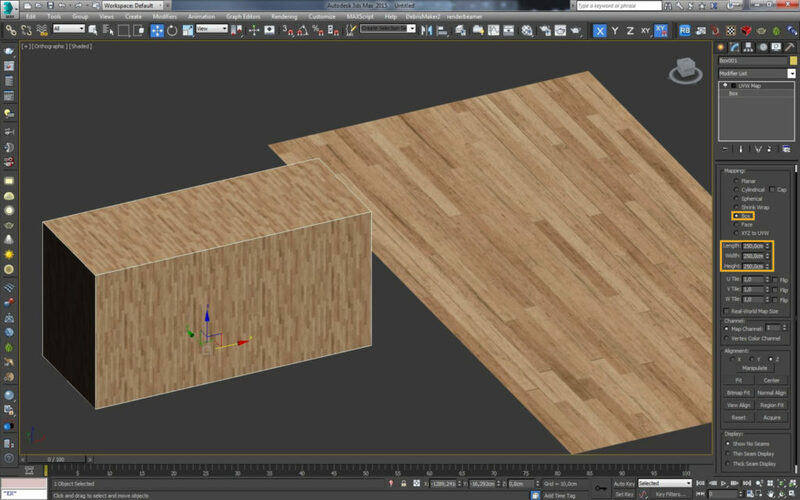 In this tutorial we will consider two simple but also the most common cases – plain Box and Plane. To assign material it is enough to drag the ball with the material onto the object and drop it. Alternatively, you can select objects and click the Assign Material to Selection icon. Certainly, some of you have worried about the fact that you can not see the wood texture in the preview, only the gray color. Do not worry, it’s normal. 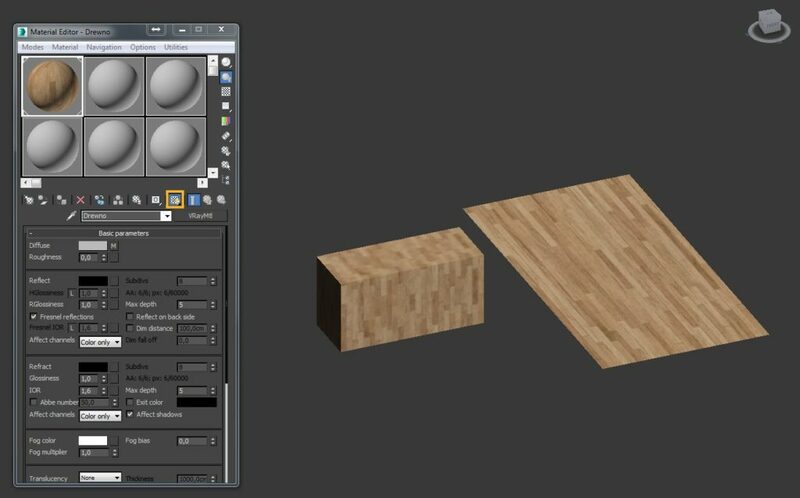 In order for textures to display correctly in the Viewport, we also need to click the Show Shaded Material in Viewport icon next to the material. As we can see, our texture is finally visible on the objects. 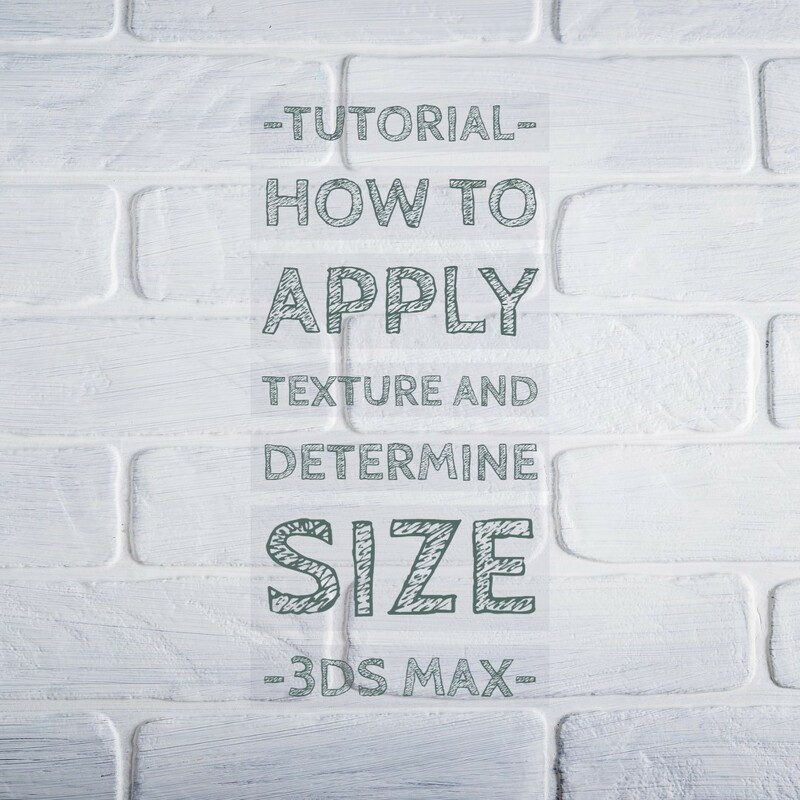 But what do you do if you want a specific texture size? For example, if we want the boards in our texture to have a size of eg 10 centimeters? In this case, we need to look at the texture that we used and count how many planks fit the width of our texture. In this particular case there are 25 boards, so if we want one board to be 10 centimeters then we have to set the mapping to 250 cm. To do this, we need to select our object, let it be a Box first, and then assign it a modifier in the right panel of UVW Map. Then in the Mapping window choose Box, and in the parameters below set the value 250 cm, 250 cm, 250 cm. Our box is quite large and the boards seem small on it, but they now have the size of 10 cm of the single board we expect. Similar plugs can be done by texturing Plane. We add a modifier – UVW Map, but this time we can leave – Planar in the Mapping option. In this case, the texture is projected in only one direction, which is sufficient for the floor. If, for example, in this case, we want a single board no longer 10 cm only 20 cm, it is enough to set the width and length to 500 cm. And that’s really it. With this one modifier, we can really texturize 90% of the objects in our scenes. Of course, there are problems when the objects are rounded and irregular, but if the texture is fine, such as fabric or leather, the place of texture merging may not be noticeable. 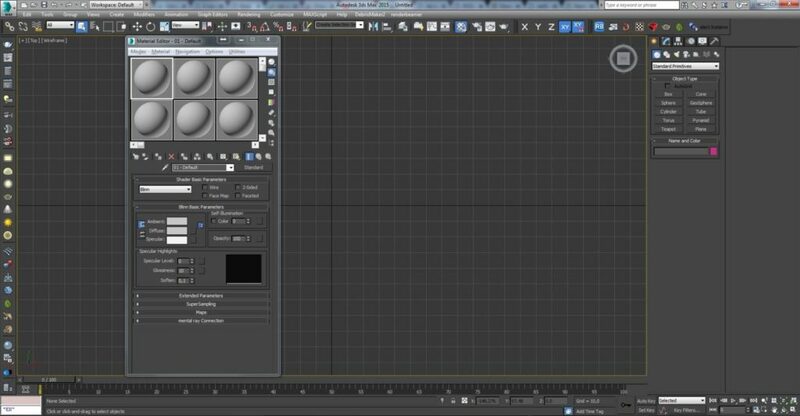 In this tutorial with 3ds Max, that would be enough. If you have any comments or suggestions about the next guides, write in the comments below.